File image of Mineta San Jose International Airport. Shake Shack is coming to San Jose. San Jose International Airport officials on Wednesday announced new dining options for travelers as part of six-year, $267 million contract extension with HMSHost. Stop whatever you're doing. Shake Shack is coming to the Bay Area! 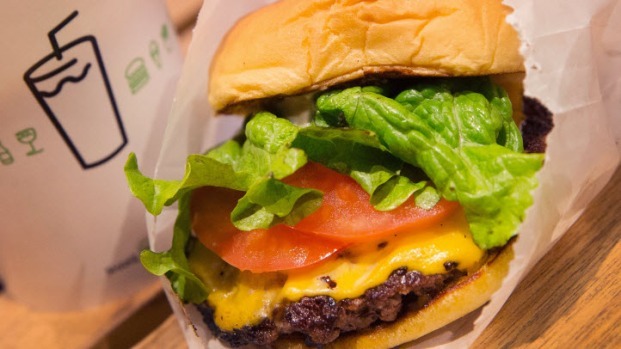 Shake Shack, which was born as a hot dog cart in 2004, is often compared to In-N-Out Burger, a West Coast favorite. Its menu features the Shackburger, a vegetarian portobello mushroom burger, a crispy chicken sandwich, crinkle-cut fries, milkshakes, handspun frozen custard, and more.